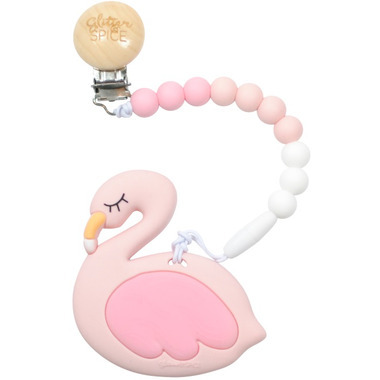 This Flamingo Teether is perfect for little hands and mouths! It is textured on both sides to provide maximum relief for your little one's sore teething gums. The bright and playful colours are sure to engage your baby while providing much needed relief during the tough teething period. Made from 100% food grade silicone, these products are free from harmful chemicals!